Hello everyone, it’s Friday, January the 20th and if you are aware of things happening around the world you may mark your calendars as the day the world ended (it’s Donald Trump’s inauguration day). Anyways let’s not overwhelm ourselves with that story and focus on the weekly tech news roundup. We have some seriously interesting news for you guys this week. To start off, we’ve got Google acquiring Twitter’s Fabric, Snapchat introducing universal search, Blackberry getting into the self-driving car business, Microsoft’s latest acquisition to beat Google and Facebook at the AI game, Space X’s first Falcon 9 launch of 2017, LinkedIn getting a desktop redesign and Super Mario Run coming to Android in March. We’ve got a lot to cover so let’s get started. Twitter has had a history of having a bitter-sweet relationship with developers, they’ve done a lot to piss off people who develop on top of their platform. But it hit them hard soon enough that they won’t survive without the external support provided by the developers. This why they quickly tried to undo their mistakes and started focusing on developer interest. In the light of the same interest, the company acquired Crashlytics, a lightweight crash reporting tool and beautifully knitted it into a great suite of products called Fabric. Fabric allowed great insights into how your app was performing. It was the right balance of data thrown at developers which meant it wasn’t too much information being thrown at developers, who couldn’t make sense out of it neither was it too less making the whole idea essentially useless. It was perfect. And this is why it quickly became the number one product used by every Android and iOS developer to track the metrics of an app. As of this month, Fabric is used by apps hitting a whopping 2.5 billion users built by 580,000 developers. 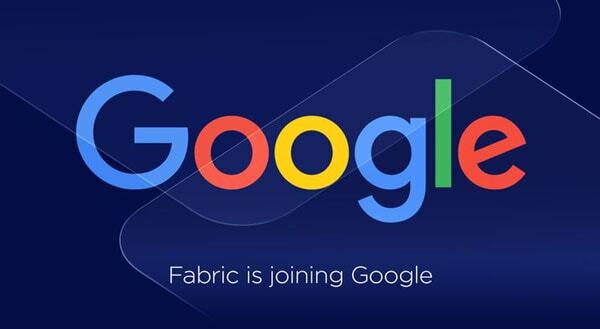 Early this week, Google acquired Fabric. Reason? While we don’t have an official statement from Twitter for agreeing to the sellout but most likely it’s a result of their ongoing financial struggles. Selling out the platform to Google made sure they cut down their costs on non-essential products while making sure that they don’t screw over developers yet again. If you are a developer like me who uses Fabric on all your projects, you shouldn’t be worried as nothing would change immediately on your end. All of the engineers on the Fabric team will join Google. Crashlytics will become Firebase’s main crash reporting tool. And it’s bound to grow more because developers trust Google more than they ever trusted Twitter. What’s coming next to Firebase will be most likely out only during Google I/O 2017 this summer. You can read more about it on Fabric’s official blog right here. 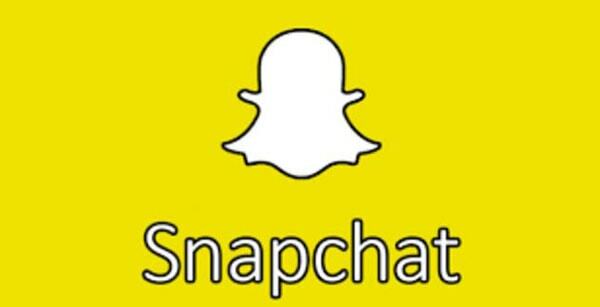 Snapchat is one of the most popular apps among teenagers. This is the reason why Facebook has been blatantly ripping off Snapchat’s unique features and putting them into its own products. One of the biggest cringe of using Snapchat is it’s horrible, horrible navigation model. It’s difficult for a new user to figure out how and why to use the app. And I’m not the only person complaining about it, users have been all over the internet yelling at them. Well good news for all of you obsessed with Snapchat, the company has finally heard. It just made it a whole lot easier to navigate the app to find friends, groups, and discover publishers. All of this is made possible by a new universal search bar that’s always accessible at the top of the app. The rollout of this feature will be incremental initially but should be available for all users both on Android and iOS soon. According to the company, the feature is designed for speed. So you can locate what you are looking for while you’re still snapping. This feature will be a huge help to brands and businesses hoping to build a great audience on Snapchat. The addition of this feature also means that Snapchat could put together a new revenue model by allowing advertisers pay for sponsored content on top of search results. Snap has declined to comment on the fact if ads are coming to search but it looks like a certain possibility. It makes it very easy for a user to jump right into their profile by tapping their Bitmoji on the left. You can find specific daily editions of Discover channels or particular Our Stories by searching for their titles. Head over to this link to read more. Remember Research In Motion? Maybe not because we all remember the company as Blackberry. The one with the clicky keypads and the Blackberry Messenger and outdated OS which everyone wanted to get rid of. Yes, you read it right, the once popular smartphone (barely smart) maker, after giving up on their devices division has now moved on to the self-driving car business. Long back when Blackberry was going through the transition, they had made it clear that while the hardware division was going to be sold out, the company would still exist as a software and services based company. And sticking on to their statement, they are pushing hard into the self-driving car business because obviously, they’re the new smartphones (really, though?). There’s some justification made to that comparison, cars are getting upgraded each day with newer sensor modules, better infotainment systems, and better fuel efficiency. There’s literally a fine line between what’s a car and what’s a computer. Setting the wheels and gears aside there’s barely any difference. Blackberry took the stage at CES 2017 to announce it’s most advanced and sophisticated embedded software platform for autonomous driving and connected cars. What this means is that Blackberry will now be providing computer code to manufacturers from cars driving themselves to the way the smartphones hook up to the dashboard. This is seriously an interesting turn of events for a company that once used to sell phones to enterprise customers. Read more on the same on this piece by Wired Magazine. AI is the hottest thing these days. If you read our news coverage every week, we have at least one piece on AI every single time. Companies like Google, Facebook and Tesla are at the forefront of AI innovation. They’re on the bleeding edge of innovation. But Microsoft isn’t too far behind itself. It’s catching up pretty quickly. 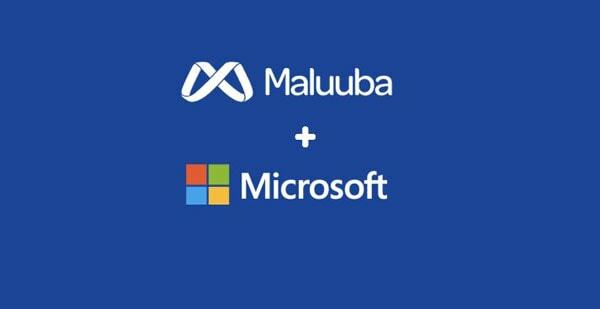 Microsoft recently acquired Maluuba, a Toronto-based startup focused on using deep learning for natural language processing. Deep learning is the field of AI currently in vogue which has seen a lot of innovations in recent years. Maluuba had been in the news when it had created an AI system that could read and comprehend text with near human capability, outperforming similar systems by Facebook and Google. Not only has Microsoft acquired Maluuba, it has also established closer ties with Yoshua Bengio, a pioneer in the field of deep learning. Bengio was an advisor at Maluuba and will now be an advisor to Microsoft’s AI division. Read more on the acquisition at this post by The Verge. SpaceX was on a hiatus, we didn’t see any launches from the company after August of 2016 where one of the Falcon 9s exploded on the launchpad at Cape Canaveral, Florida. This week the company made its first successful launch of the year and the 5th one of these vehicles that has landed at sea. This launch marked it’s first successful landing at the Pacific and a first landing for the drone ship. 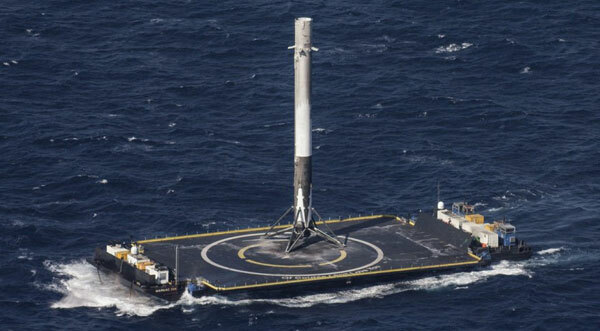 This successful landing brings the number of successfully recovered Falcon 9 rockets to 7. The company had set out to reusing a rocket during the fall of 2016, but the explosion in the month of August put that plan to rest. The company also has been facing financial struggles and is looking at ways to cut down costs. The company lost well over $260 million with a 6 percent drop in revenue in 2015. The loss came after one of SpaceX’s Falcon 9 rockets disintegrated on its way to the International Space Station in June of 2016 which caused the company to delay launches by 6 months. LinkedIn was recently acquired by Microsoft and we had the deal throughout. While the acquisition guaranteed that nothing would really change in terms of how the company serves its customer, the site did get a huge change this morning. Fear not, it’s just a redesign. 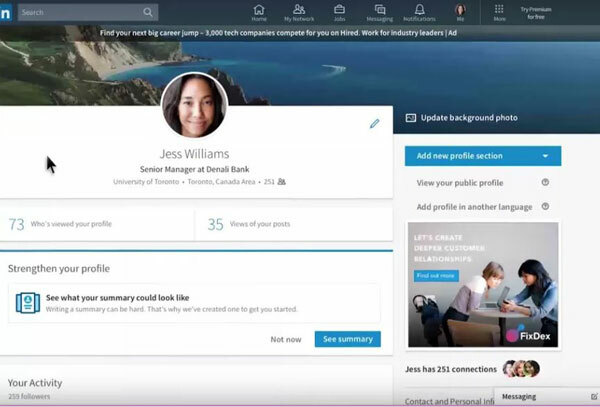 LinkedIn has refreshed its desktop site today with a new look that’s designed to bring the look of the site to 21st century standards. The main feed has been redesigned to look more like a Facebook feed (happy accident must I say?) with trending stories curated by actual humans instead of an algorithm. You can unfollow and hide posts fairly easily (again like Facebook). The site has also received a revamp in the search interface which makes it much easier to find jobs, people, and companies. The biggest change, however, is the addition of a real-time messaging interface that’s always available at the bottom of every page( Ahem! Like Facebook). When you’re looking for a job and you know someone working at that company, LinkedIn will prompt you to start a conversation to get a referral or tips on applying. This is the first time the site has been revamped since 2003 which seems like the stone age now. Nintendo pissed a lot of fans off when they announced Super Mario Run only for iOS during the iPhone 7 launch. Worst of all they had no word on Android availability. 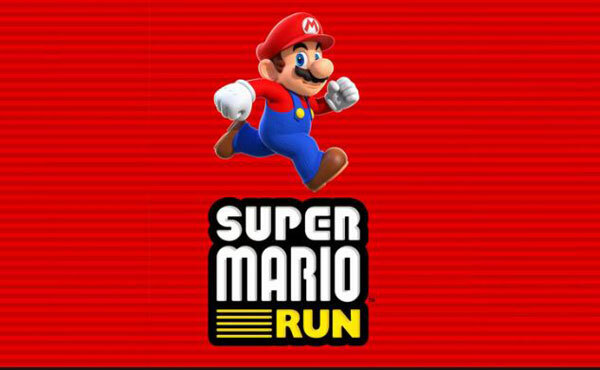 Well, Nintendo broke its silence and finally announced that the super hyped game Super Mario Run will be coming to Android in March. Super Mario Run is a platform-like continuous runner that features Mario and his whole crew. Essentially, as Mario runs through a level, the player controls his jumps and collects coins, but doesn’t control his running. There’s bad news for Nintendo though as the initial hype for the game may have been high, third parties have estimated that only 3 percent of total users paid for the game. Your content really adds a lot of value, continue to produce quality content like this. I am excited about Super Mario Run. Thanks Prateek for this recent tech news. Very Informative. Playing Super Mario on Android would be great. I am waiting for this release.